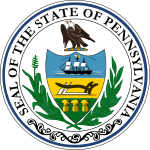 In 1791, the Pennsylvania legislature failed to elect a U.S. Senator due to a disagreement on procedure. The seat would remain vacant until 1793.